All of your online administration is carried out from the Cashmanager RURAL website, whether you want to grant access to new users or edit existing access. You can request access to another user's database, or change your profile information. Once you set up your database, you can grant access to other users, such as your accountant, bank manager, consultants, family members etc. There is no charge to register as a user and access other databases. Scenario: Rob & Sarah use Cashmanager for their business. They have recently employed an accountant and want him to be able to look at their database. Select the farm business that you want to grant access to. Type in the full email address of the user you want to add and click Find user. Choose the access levels that you want to user to have. Click on Grant access to save the changes. 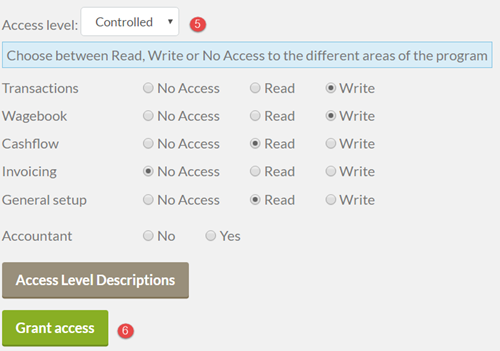 TIP: Click on the Access Level Descriptions button to see what each access level means. Once you have given a user access to your database(s), you can edit their access levels at any time. Scenario: Rob & Sarah use Cashmanager for their business. Their farm manager has recently left the farm so they now want to remove his access to their database. Select the farm business that the user has access to. Locate the user and click Edit alongside their name to alter access levels, or Remove if they no longer need access to your database. Change the level of access and click Grant access to save the changes. Tip: the access type 'No Access' only prevents a user from seeing certain screens in your database. If you want to remove their access completely, select Remove. If you would like to access a Cashmanager database, you can send a request to the database owner through the website. Enter the full email address of the database owner. 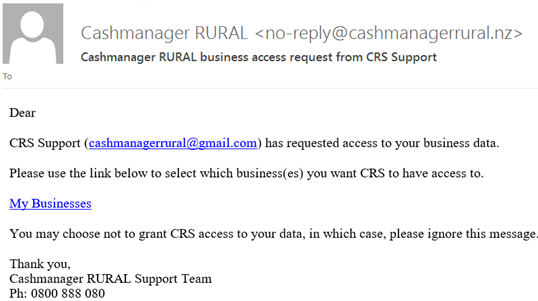 The database owner will then receive an email outlining that you have requested access to their farm business(s), which includes a link to the Cashmanager RURAL website where they can grant access. 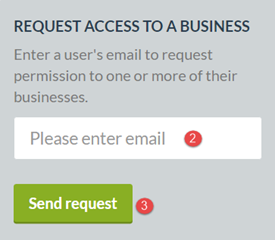 Enter the email address of the person you want to grant access to. 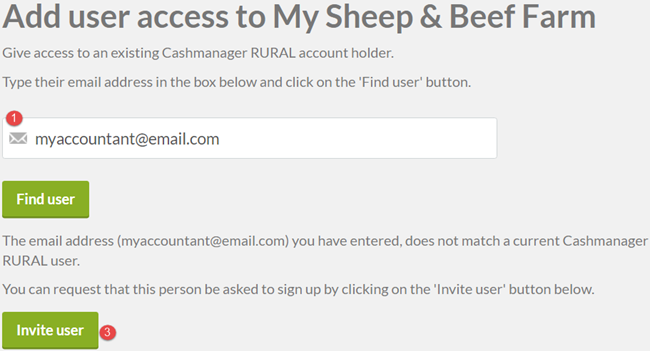 If the email address isn't registered to a Cashmanager RURAL user, click Invite user.